Read up on our expert back-to-school road trip tips or get the car buying process started by browsing available used cars in Phoenix AZ! Have you always wanted to take a road trip? What better time than while you’re already on your way to school? Kick the school year off right and plan ahead to extend your trip, making the hassle of getting back to school one of the best times you’ve ever had! 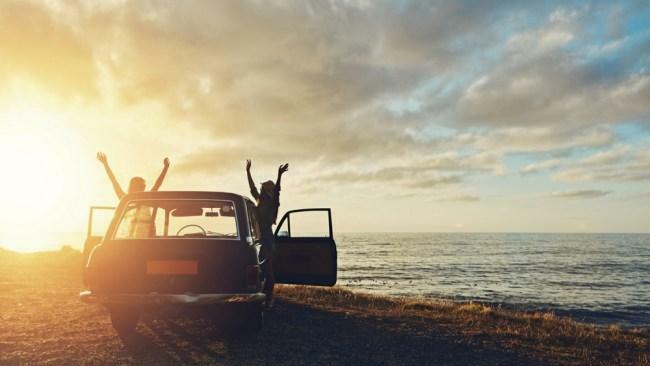 There’s no better time to take a road trip than as the summer is winding down, as planning trips in the colder winter months can cause a lot of damage to your vehicle and slow down your plans. Alongside making the normal trip plans like booking hotels or renting out campsites, you want to make sure that your vehicle is in top condition to survive the roads and stay maintained while you’re at school. The experts on used cars in Phoenix AZ have some tips to make sure that you can get your car in tip-top shape to travel all the way to school without any issues at all. We all know that many cars suffer in the dry heat we get here in Phoenix every summer. Now that the peak heat is winding down, be sure to check on your vehicle’s air conditioning system to make sure there are no problems before you head out on the road and back to school. Finding and solving car related issues at home is always a lot easier than finding a qualified technician in a place where you may not be too familiar. However, in these cases, we always recommend that you call AAA and speak with someone who can suggest the most experienced auto mechanic businesses in your school’s area. In addition, a lot of people aren’t aware that the feature that keeps your air conditioning running is also connected to other parts of your vehicle in the engine. Even if you think you’re tough enough to survive a long trip without the AC, you better have it checked out to avoid even more damage to your car’s engine later on down the road. For other ways to keep your vehicle cool in the heat, take a look at your vehicle’s maintenance manual to locate the coolant reservoir. Along with temperature being an issue for parts of your engine, it also can be an issue for the air pressure in your tires. As the weather stays hot, the pressure in your tires will tend to expand and make driving a lot less safe or wear your tires out quickly. Speak with your local mechanic about getting your tires checked before your venture back to school. NOTE: It’s always a good idea to keep a tire gauge in your glove compartment if you don’t already have one. It’s best practice to always change your oil every 5,000 miles or three months; whichever comes sooner. Make sure to have your oil changed as soon as you arrive at school if you’ve just recently changed it, or both before and after you arrive if you’re due for a change now. The used cars in Phoenix AZ experts at Auto Action cannot stress how important it is to consistently change your oil. Poor oil quality will result in a negatively impacted fuel consumption and faster car depreciation value. Although the Phoenix area didn’t receive that much rain this past summer, you never know what your time on the road will bring! There’s nothing worse than getting caught in a monsoon while driving and using worn out windshield wipers in defense. Inspect your wipers carefully in order to avoid any unsafe rain situations. We recommend you always keeping a spare pair in your trunk or replacing your wipers before you leave home. Anything we missed? Anything you found useful. Let us know! In addition, if you’re looking for used cars in Phoenix AZ in order to have a vehicle at school this year, contact one of the Auto Action experts by filling out the form to the right!